Silky, smooth and hairless skin feels and looks so good. However, finding the right hair removal solution can be a challenging process. Enter the epilator. It can help you remove even the thickest or thinnest strand of hair. For most people, you only need to exfoliate once a month which lasts much longer than shaving. At the same time, it costs little in the short and long run compared to shaving, waxing and IPL. Give the fantastic epilator a try, and it’ll be your new best friend! Here are the best epilators you can buy in Singapore today! As expected from Braun, this top-of-the-line epilator offers exceptional performance that fully justifies its price tag. With its SensoSmart technology, it provides professional guidance to the right amount of pressure to apply for the best epilating performance for your skin. This allows it to remove hair up to 4x more effectively than waxing. Ingrown hairs are a potential issue everytime you remove your body hair. Say goodbye to this problem with the Braun Silk-Epil 9. It comes with deep massage and exfoliation brushes that revitalizes, cleanses and exfoliates your skin. Additionally, it comes with a wide range of accessories that allows the epilator to effectively remove hair even from the most delicate and hard to reach areas. With its wet and dry functionality and cordless design, you can use it in the bathroom for added convenience. If you want the best epilating experience, get the Braun Silk-Epil 9 9970 SkinSpa SensoSmart Epilator. Click here to check the price on Lazada! Every aspect of this newly-launched epilator is designed to achieve the perfect hair removal at maximum comfort. Regardless of where you are epilating, you can expect smooth skin with minimal irritation. This is why the Philips Satinelle Prestige Epilator is suitable for use on delicate areas like your pubic and underarm zones. A tip to achieve the best performance would be to always angle the epilator at a 90-degree angle. With that, even the tiniest and thinnest hairs are removed easily. The tip also has a light that helps you to check whether you have missed a spot. Also, this epilator is exceptionally versatile. It can be transformed into a massager, exfoliator, pedi foot file and even trimmer. With all these functions, it is a super worthwhile buy! 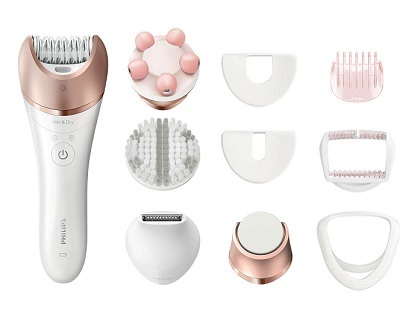 Pamper your skin with the Philips Satinelle Prestige Epilator. Click here to check the latest price on Lazada! Intense Pulsed Light (IPL) is a popular alternative to waxing, shaving and epilating. However, IPL has a reputation for being very expensive. If only you could enjoy all of the benefits of IPL in the comfort of your home at a reasonable price. Well now you can, with the Braun Silk-Expert IPL BD 5001! It is highly effective and has received a countless number of positive reviews online. One reason why it is so popular is that IPL is a much less painful process than other alternatives. At first glance, you may be shocked by its $439 price tag. However, compared to beauty salons, that is a small fraction of the price you would pay for a package. 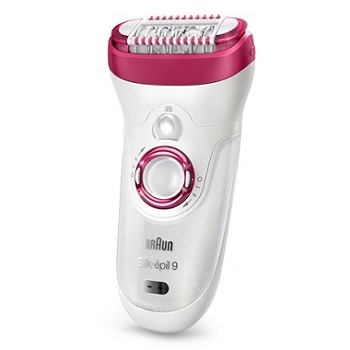 In the short and long run, the Braun Silk-expert IPL BD 5001 is a very economical choice. The best part is that it is super easy to use. With Braun’s SensoAdapt technology, the light intensity is adapted perfectly with every use to ensure effectiveness and safety. No need to fumble around with complicated settings! One arm or leg will only require approximately 8 minutes of treatment each time. Quick and effective! If you are considering IPL for permanent hair removal, the Braun Silk-expert will be the most value-for-money option. Click here to check the price on Lazada! Epilating can sometimes be a tedious process. What if it could be faster and yet as effective? 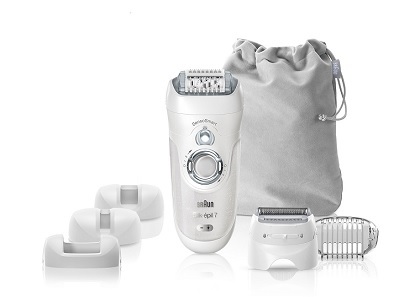 With a 40% wider epilator head, the Braun Silk-épil 9 9521 Epilator can help you do just that. Also, you can expect the results to last for around 3 to 4 weeks. That means you only have to epilate about once a month. 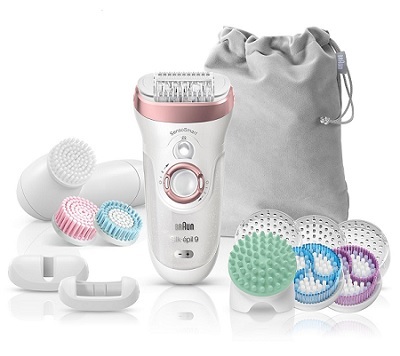 Moreover, this epilator is gentle to your skin. Within a couple of times of using it, you should get used to it and the process will seem painless and easy. It is waterproof and can be used in both wet and dry situations. Anywhere and anytime, you can have smooth and flawless skin. The Braun Silk-épil 9 9521 makes epilating seem like a breeze. Click here to find out more about it on Lazada now! It can be hard to find a suitable epilator if you are a guy. Most of the epilators in the market seem to target women specifically. While the Braun Silk-épil 7 Epilator does not say that it is made especially for guys, its effectiveness against stubborn and thicker hair says otherwise. It can target all areas including more sensitive and delicate zones. Despite its effectiveness against thicker hair, it is gentle. If you are used to epilating, it will definitely not trigger your pain threshold. Even if you are new, you should get used to it within a couple of tries. Searching for an epilator for men? 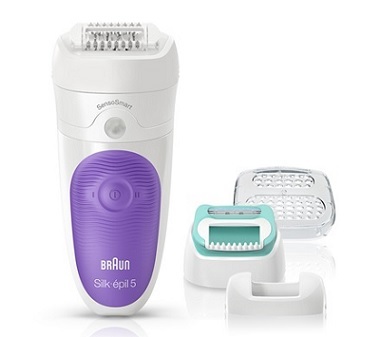 You have found it in the Braun Silk-épil 7 which is available on Lazada. Click here to find out more about it! Philips Satinelle Advanced Epilator sits in the middle among all the epilators available out there. It is around half the price of its higher-priced competitors and double of its lower-priced rivals. Regarding performance, it actually performs similarly to some of its higher-priced counterparts. The reason why it costs less is that there are simply fewer attachments included. 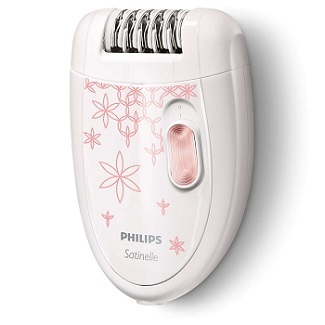 If what you need is an excellent epilator, Philips Satinelle Advanced Epilator certainly fits this criterion. You can find it on Lazada by clicking here! New to epilators? Perhaps you feel a little scared of trying it out for the first time. That’s normal. Braun has come up with a solution to ease your initial experience with epilating. It comes with a beginner cap that you can attach to the epilator. The cap will help make the process gentler and more soothing. After using it for a month, your skin would have gotten used to the epilator, and you can remove the cap after that. No more needing to worry about epilating for the first time! Let Braun Silk-épil 5 Epilator help you overcome your fears about epilating! Click here to check it out on Lazada! You may have noticed that most Braun epilators cost more than $100. It is rare to find a Braun epilator that costs around $50. That is until we found the Braun Silk Epil 3 SE3270 Epilator. It may not have all the fancy functions and accessories of its Braun counterparts. But it does share one similarity. It is super effective at epilating. You’ll be impressed with its capabilities from the first day you use it. One thing to note is that this epilator is corded. That means it is suitable only for dry operation. As long as you are not planning to use it in the shower, it’ll work great. 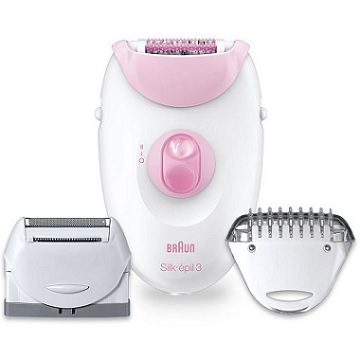 If you are searching for a quality Braun epilator at a bargain price, get the Braun Silk Epil 3 SE3270. You can find it on Lazada by clicking here! 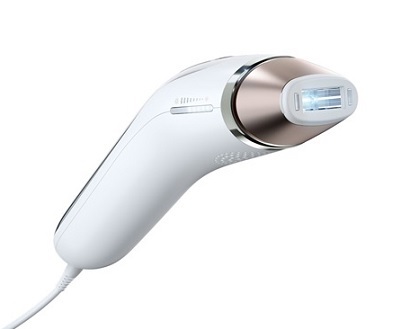 Light, portable and powered by batteries, this Philips Epilator will be an excellent choice for a frequent traveller. Baggage space is precious and bringing a full-size epilator along with its charging pod is inconvenient. But do not underestimate this epilator because of its small size. It is capable of achieving the same level of results as its pricier and larger counterparts. However, it is not suitable for wet use as it is not waterproof. Its head can be detached and washed separately. Philips HP6420 Compact Epilator is available on Lazada. Click here to check its latest price! If you have taken a look around, wet and dry epilators are usually found at much higher price points. 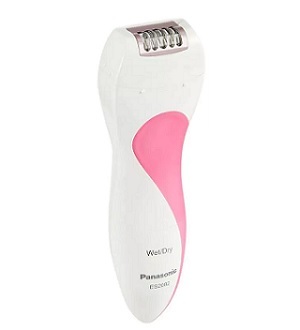 So it was a surprise for us to have found this Panasonic ES2082 Epilator at such a low price. It is useful in removing hair from any part of the body. Also, it comes with a skin guard that will protect your skin throughout the process. Like a good deal? You will definitely fall in love with the Panasonic ES2082 Epilator. Check its latest price by clicking here! Are you still unsure about which epilator to go for? Here are our TOP recommendations again! If you choose one of them, you definitely won’t be disappointed. Dyson Supersonic Hair Dryer Review – Worth the Hype and Price? 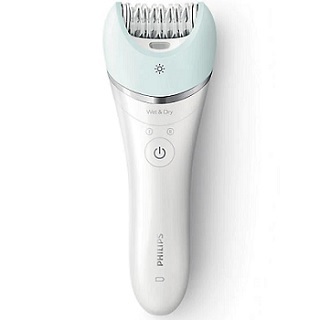 An epilator is the close cousin of an electric shaver. It is essentially an electric tweezer that does many tweezes a large clump of hair in one go. Each time you roll the head of an epilator over your skin, it quickly removes the hairs in the area from their roots up. Can you use an epilator everywhere? Technically yes. Many of the epilators available now are for full body use. Usually, the higher-end models come with more specialized attachments for specific body parts. If your epilator comes with accessories, do take the time to change them out as per the instruction manual. Specialized attachments will provide better results for that particular body part. For example, your bikini line and pubic region are more sensitive and require precision. The attachments for those areas are usually smaller, so you accurately control the epilator around the various nooks and curves. That being said, if you are comfortable with no attachment, you can go ahead with it. However, for your face, try only to use an epilator that comes with a facial attachment. The skin on our face is very delicate and sensitive. Without the facial attachment, the force of the epilator may be too harsh on your skin. A mid-range epilator should come with a facial attachment. Prices should range between $80 to $130. Yes and no. It depends on what your pain tolerance is and whether you have done epilating before. If you are a first-timer, the initial experience may be uncomfortable and a little painful. However, trust in the process. As you regularly epilate, the roots of your hair become weaker and weaker over time. This will result in less and less discomfort each time you exfoliate. Within a couple of times, you’ll totally be an epilator convert! If you are terrified of the pain, here are some tips and tricks that will help to alleviate it. Take a warm shower before or during epilating. Bathing will help to open up your pores. Hairs will get pulled out much more easily and painlessly. If you want to epilate in the shower, choose a wet and dry epilator. Keep your skin tight by holding onto it. This will help to create a smooth and easy path for the epilator to follow. With fewer obstructions, it is easier to pull hairs out more quickly and effectively. Try a quick shave before epilating. This is a good tip to follow for first-timers. Shaving will help to ease you into epilating as there would be less hairs to pull out. You should be able to skip this step after a couple of sessions. Apply a numbing cream. If you are really sensitive to pain, this could be the best solution. It will numb your skin and you will be able to go through the epilating process painlessly. Epilating, waxing and IPL are the most effective hair removal methods. You can expect clean, smooth and hairless skin after each session. IPL has the best permanent hair removal rate of the 3. Shaving is the least effective hair removal method. You will often find patches and stray hair remaining even after a thorough shaving session. Then there is the potential issue of irritating and painful ingrown hairs. If you are looking for a highly effective hair removal method, shaving is not it. IPL effects are the longest of out the 4. After a couple of sessions, you should be able to enjoy about 2 hair-free months before your next session. Epilating and waxing last for about a month. For the first few sessions, your hair may grow back within 2 to 3 weeks. However, as you get into a regular schedule, the effects will last longer. If you expect smooth and hairless skin by shaving, you should be ready to shave every 2 to 3 days to maintain it. It does get pretty tedious which is why most women move towards epilating, waxing or IPL for better results and time-saving. Shaving and IPL are the least painful options. The occasional stings of pain from razor cuts and ingrown hairs are probably the most painful aspect of shaving. IPL is also relatively painless, but you will feel some discomfort when it reaches your bikini region. Comparatively, waxing and epilating is more painful. That is expected when you are removing hair in a relatively forceful manner. However, it does get less painful over time. The more times you go through waxing and epilating, the weaker your hair roots are. It will definitely hurt for a first-timer but follow our tips above, and you should be fine. Epilators have the lowest cost per use compared to the other options. The price of the epilator ($30 to $200) is basically what you will be paying for years of hair removal. Shavers have a low entry cost but high running costs besides the need to replace blades (which cost a bomb in the long run). Waxing is expensive. Each monthly session can cost you around $50 to $100. In a year, you can expect to spend nearly $1000 just now waxing. That is 5 times the cost of a top end Braun epilator! IPL has the highest upfront cost. A package easily costs thousands of dollars. While they claim to be permanent, you will likely still have to continue going for sessions after your initial package is over. Yearly costs will probably be in the $500 to $1000 range.